As technology companies try to push the boundaries of display quality further and further, LG are preparing to host a ton of new high-res devices at CES next month. These devices include a smartphone, tablet, laptop, monitor and a few TV screens. LG have always been known for their impressive line of thin and high-res TVs, while they haven’t ever dominated the TV world, as no company can really say they have, they have been a top player in the past few years. At CES, they look to show off their brilliant new line of high-res TVs, while none will have flexible materials, like Samsung will be showing off at CES, they will look superb with higher res and thinner designs. They come in three sizes, 55-inch, 65-inch and 84-inch and all sport resolutions of 3,840×2,160 pixels. 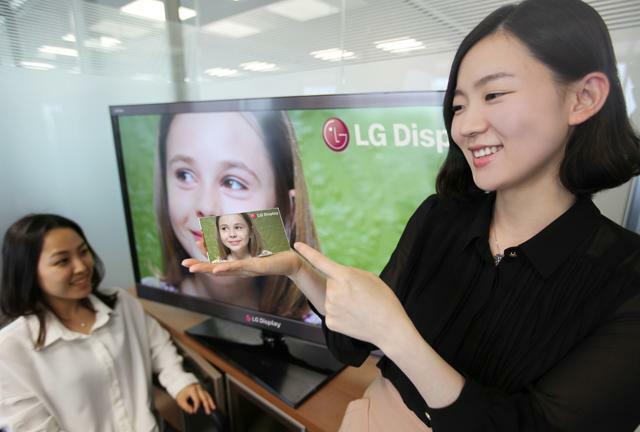 They will all come with LG 3D technology too. This is where LG are bringing a huge revolution in the resolution. The PC monitor will be a 30-inch, 4,096×2,160-pixel-resolution behemoth – while 4K TV’s are just coming in, 4K monitors are something entirely new, the normal range for a top-end monitor would be no more than 2,500×1,600 resolution. We are really impressed by this, not only because LG are looking to make the best monitors but because they are trying to make them at a time when PCs are being discontinued by many users and companies, in light of the tablet/compact laptop surge. PCs are still very useful for powerful applications and making PCs with better resolution could be the answer for graphics designers and medical surgeons that don’t enjoy using a tablet. We are unsure if LG will just be showing off a prototype or if a new phone is on its way. We believe LG are just showing off the capabilities of their screens and displays and HD seems to be the top-end right now. The new smartphone will have 5.5-inch screen and a full HD display. That will be the same resolution, we believe, as the HTC Droid DNA. This would be a first for LG, and we would be glad to see the smartphone actually hit the market after the CES show. Again, we are unsure and we believe this is only a show of what LG screens are capable of doing. LG are a huge screen manufacturer and this is more a “hey, look what we can do” to possible phone companies, rather than a teaser of new content. The tablet resolution will be as high as the iPad retina display is and we suspect that LG have been focused on getting the rendering and pixel-density high enough that it is impossible to see pixels and the colours are well done. Blacks need to be black, not grey. Whites need to be white, not grey. It should be a big event for LG, with all these new displays on offer. We will keep you updated with any news, if any of the prototypes make it to market.